I adore Kid's Clothes Week and this year, I got to contribute to it! There are always so many inspirational pieces popping up all over there and at the end of KCW I always have a giant list of "wants" to make. This seasons theme is TOYS and it is such a fun one! This fabric was sponsored by Imagine Gnats but all opinions are my own. When I saw the Wildland Teepee's at dusk fabric from Imagine Gnats, I knew it would be perfect for this theme! It's so playful and fun! The hardest part was deciding on WHO to make it for because all of the kids wanted something from it. 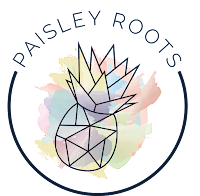 We drew names and Paisley got drawn. Lucky girl. I decided to go with the new Legends Top & Dress by Sew Straight & Gather. I LOVE LOVE LOVE the look of this dress. Paisley is a tiny bean pole, so I made the size 3 bodice lengthened to a size 6 and then I lengthened the skirt too. I think the pattern completely compliments the fabric wonderfully and the fabric was amazing to work with! I was actually amazed at how quickly the dress came together. I thought with the style it would take a bit more finesse, but the technique was incredibly easy to do. I spent more time taping and cutting out the pattern than I did sewing it up. 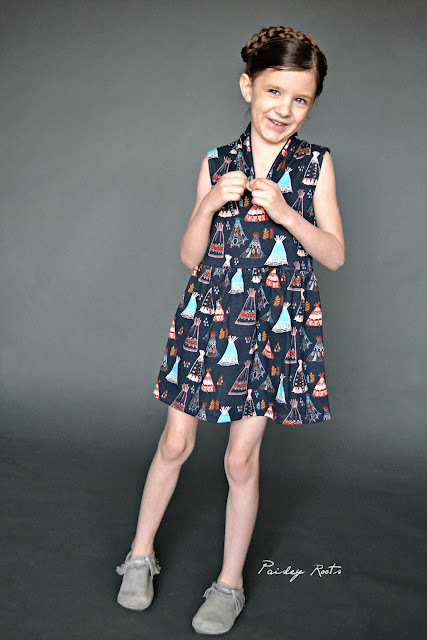 Are you going to be sewing along with Kids Clothes Week? hahaha that last pose is so fun! She looks fabulous in this. 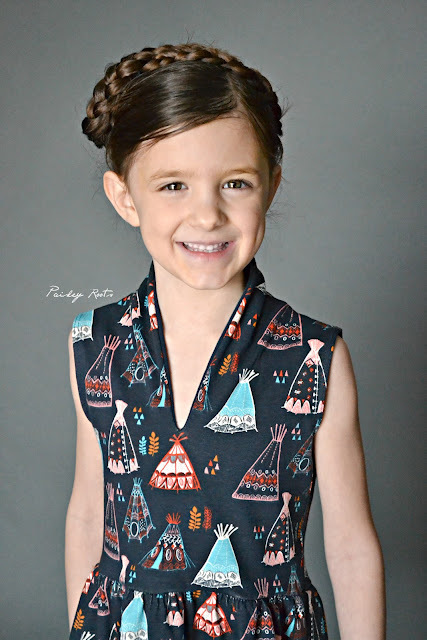 I love the neckline on this pattern and the teepee print is awesome! The Mocs are perfect too! Love it! this dress is so perfect in thus fabric. Im jealous of her awesomr new dress. Ok that fabric combined with that pattern is just dreamy!! I love this whole thing, and your daughter is such a sweetie! Very cute - and glad to hear I'm not the only one lengthening teeny sizes! So cool. The dress really perfect.